The Brentwood festival 2014 edition is just on the corner, so it’s the high time you start to prepare least you miss out. The event which was began in 1994, the 2014 event will be its 21st event and it keeps getting better, more fun, and bigger. This year’s event will be on the Sunday of 12th of October. 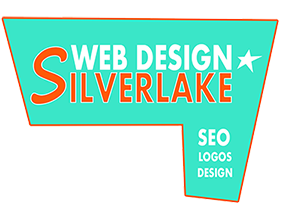 The venue remains the same San Vicente Boulevard from Saltier to C. Barrington Avenue in Brentwood California. Simply said, all you need is yourself and the interest, and given the nature of the previous festival, interest is guaranteed. To attend the festival is free for members of the public and there are plenty of fun and art products to sample. If you have an interest in art and craft materials, then this effect is definitely for you. Given the numerous and exquisite art and craft materials on display, the event is a landmark for lovers of art. For artists and crafters, the event is a perfect platform to launch one’s career as well as build a market for products. You will agree that it is not easy to launch products in the market, and given the fact that the Brentwood festival has over 20,000 attendees for the single day event, this gives any artists a platform to launch their products as well as create awareness for their product among potential clients. For an artist, an admission fee of $350 is required. Over the years, the admission of artists to the festival has grown and the average is 170 artists and crafters. The Brentwood event is not just an opportunity for artists and crafters to showcase their products, but also a platform to celebrate art through entertainment, family fun, and an opportunity to socialize. In addition, for art lovers, this is an opportunity to acquire some of the innovative and inspiring pictures of art. 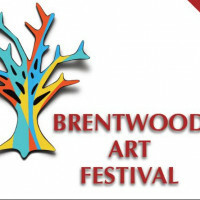 Brentwood art festival this year’s edition is bigger and better. The event will have quite a wide range of artists hence a variety of art products on display and a rich menu of family entertainment fun for you to sample. The gates to the vent will be open from 10 am up until 6 pm. The event is sponsored by West LA chamber of commerce and produced by Ez event productions. Given it is a Sunday; it presents a perfect opportunity for family and friends to spend the day in a fun and relaxing way. For more information in any aspect of the festival, contact Ez event production today!